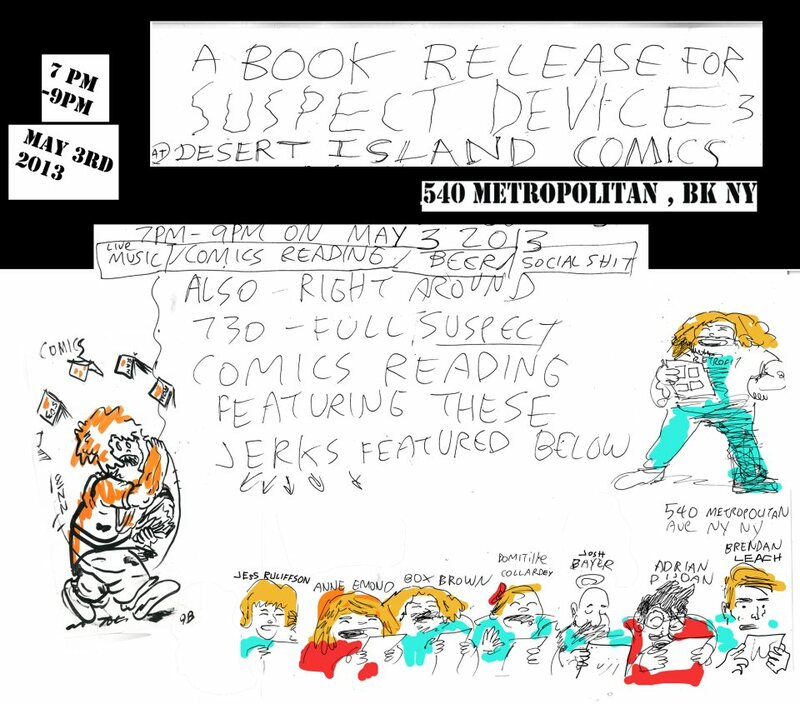 Come to Desert Island tonight for a fun evening of comics reading, and to celebrate the release of the third issue of Suspect Device 3. 540 Metropolitan Ave, Williamsburg, Brooklyn. 7pm-9pm. Free music and funny people telling stories.